Thursday, April 12, the Lady Eagles hosted the Southwest Lady Trojans. Earlier in the season the Lady Eagles faced the Lady Trojans in the Mt. Vernon Tournament. The Lady Eagles lost to the Lady Trojans 6-12 in the 3rd place game of the tournament, but last night the Lady Eagles got revenge. The Lady Eagles stayed ahead the entire game run ruling the Lady Trojans 10-0 in the 6th inning. 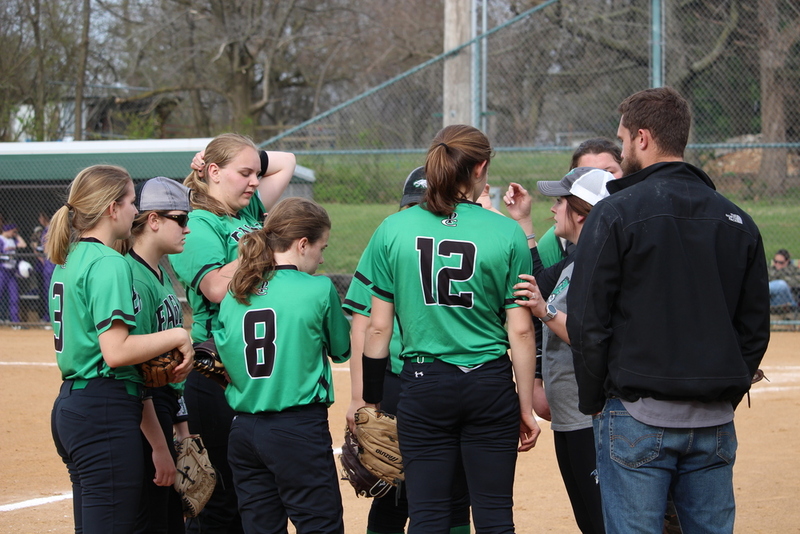 The Lady Eagles are back in action tonight (weather permitting) with Greenfield. First pitch at 5.